Palomar Technologies has exhibited at two large Optoelectronic Technical Conferences in the last 2 months. SPIE Photonics West was held in San Francisco at the Moscone Center, and OFC (Optical Fiber Communication Conference and Exhibition) was held at the Los Angeles Convention Center. They each had a unique presence, but both had plenty of optoelectronic modules and sensors. 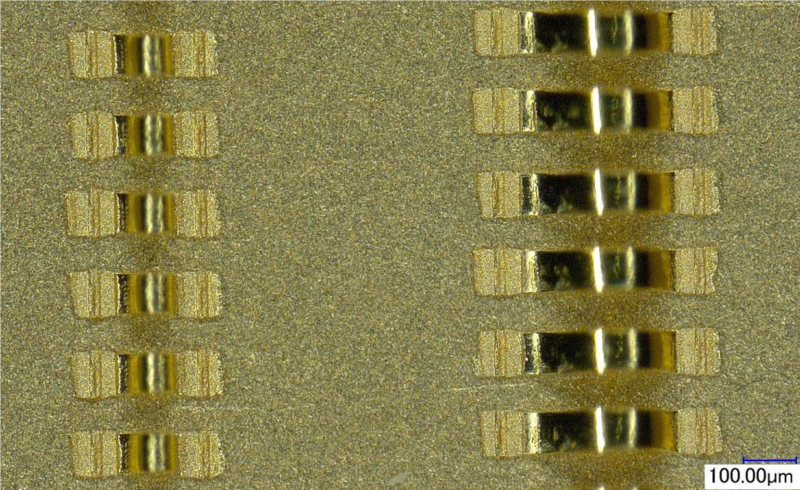 Devices operating at up to 400Gb/s were being presented, and many were built on Palomar’s fine line of die bonders and wire bonders. There is a big push for low-power, high-speed modules of all types. Two enabling technologies provided by Palomar Technologies are: high accuracy Pulsed Heat Eutectic Systems (PHS), that when properly driven generate thin bond lines of AuSn eutectic alloys with superior thermal management properties, and ribbon wire bonding for high frequency interconnects with low reactive inductance. It is critical to abate all oxygen possible prior to applying elevated temperatures, so a top cover can automatically swing over the heated area to allow for positive pressure of nitrogen, argon, or a reducing gas prior to ramping up heaters. X/Y/Z scrubbing in the liquid zone of the eutectic phase diagram minimizes voiding, allowing for a superior thermal interface. While ramping up rapidly improves the thermal conduction of the eutectic interface, forcing a fast cool down only further punishes the device, so passive cooling (turning off the heaters) is usually employed on high value packages. Upper and lower spec limits are moused in to keep an eye on dynamic temperature responses, and can be set to alert the operator should either limit be broken. Both of our 3880 and 6500 die attach units can employ a variety of PHS systems. For electrical interconnection, we employ ribbon wire bonding. Ribbon bonding requires the use of a wedge bonder due to the physical shape of the wire. 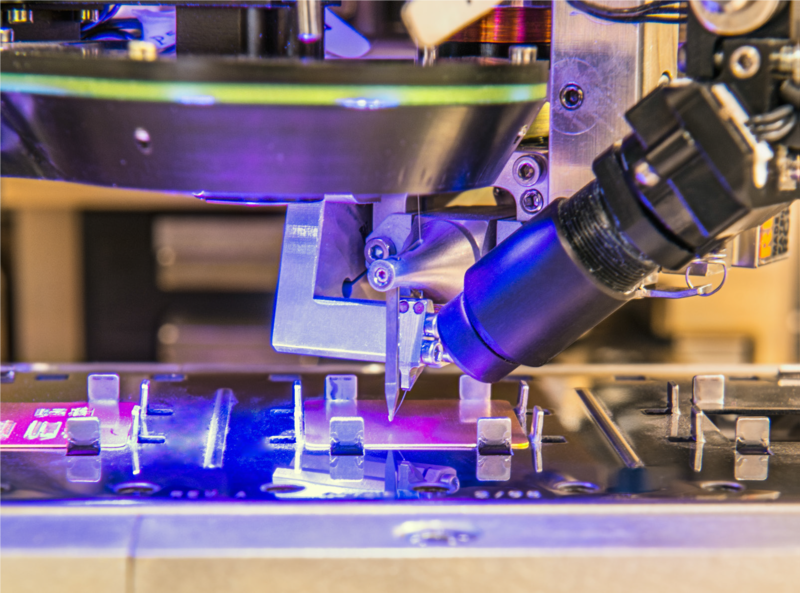 If you do not have deep package constraints, our wedge bonder can be configured to handle the wire with a 45°-60° degree wire feed system or, for deep access applications, a 90° wire feed system. 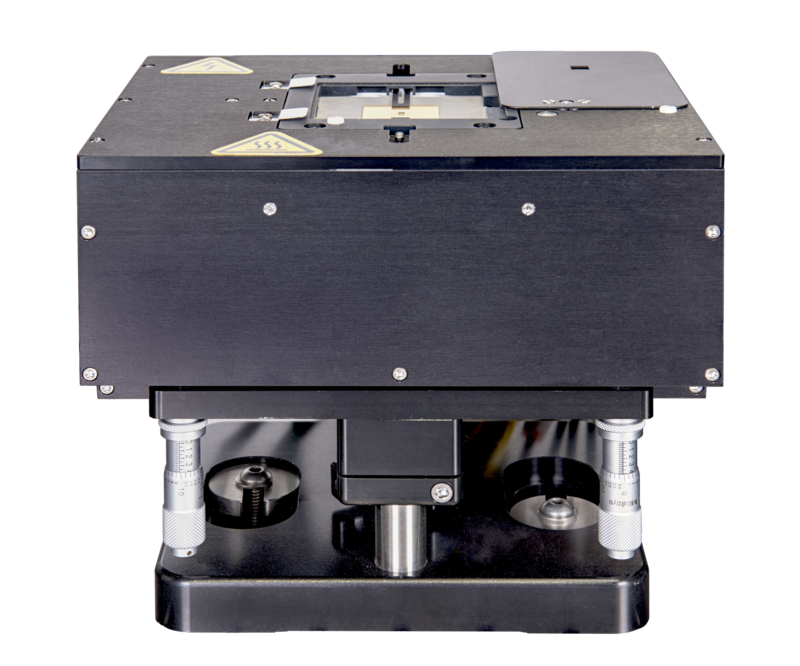 Our 9000 Wedge Bonder carries the automatic wire despooler on theta, just above the ultrasonic transducer. This keeps the wire path from spool to wedge bonding tool short, and does not twist the round wire or ribbon once it is despooled. This allows for very short and repeatable loop profiles. The combination of short wire interconnects and the rectangular shape of the ribbon wire both aid in reducing the wires reactive inductance, allowing for better very high-speed interconnects. While these technologies seem like simple iterations on older processes, they are actually very technical concepts marrying physics with mechanics and materials with processes to create next-generation packaging technologies.